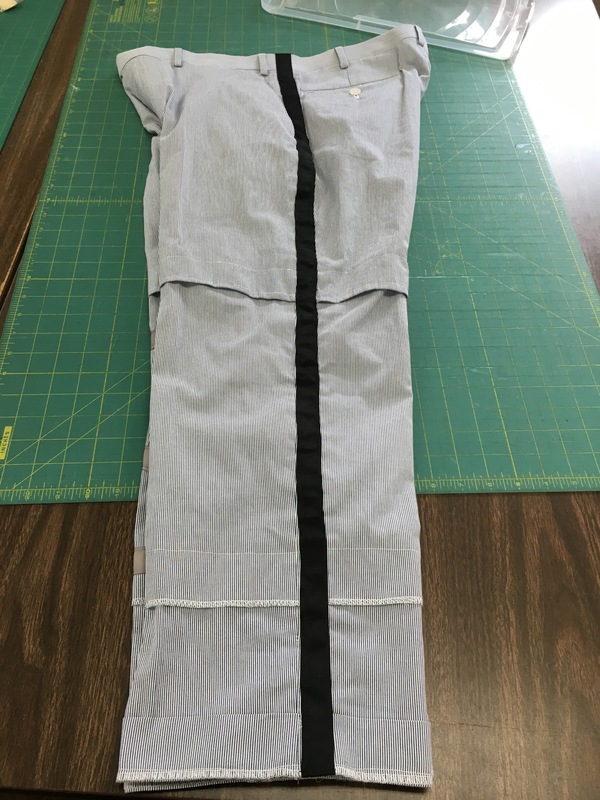 Pro Tip: On the Sleeves, I carefully cut out slits. THEN sew lines thorugh the area, so that it will only fray in certain areas. This is also fun to do. And will give your creation some expensive looking frays as it morphs through each wash and wear. 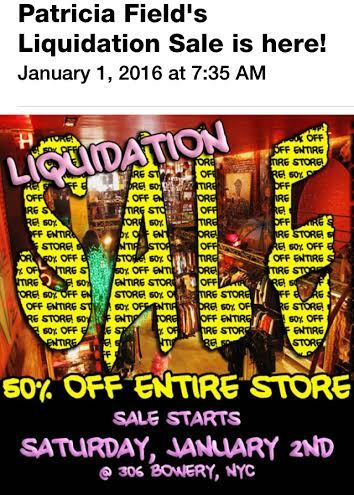 See you on the Streetz…blog! The Christmas 2015 Cryllic Streetzblog shirts made it from NY to HI today (7/27/16). The same day I completed the Seersucker Pants Project. 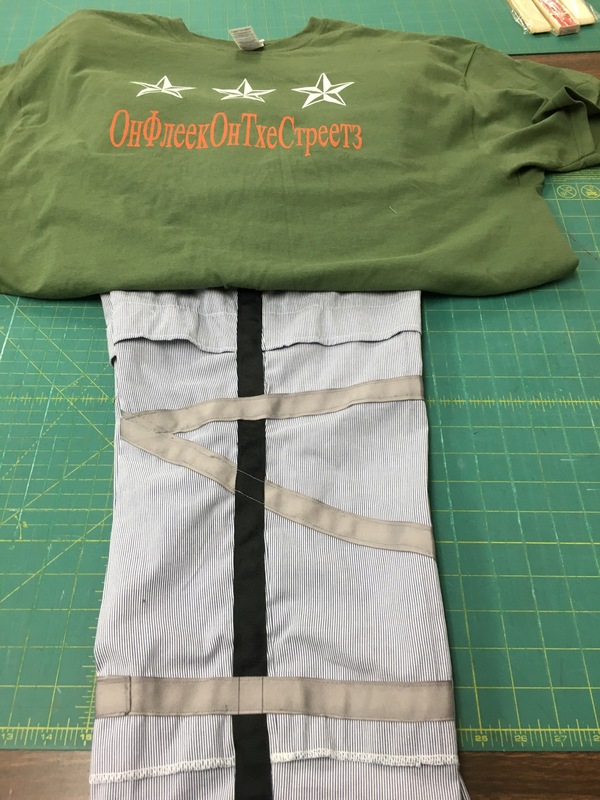 Above is the front of the new shirts and the right side completed pants leg. 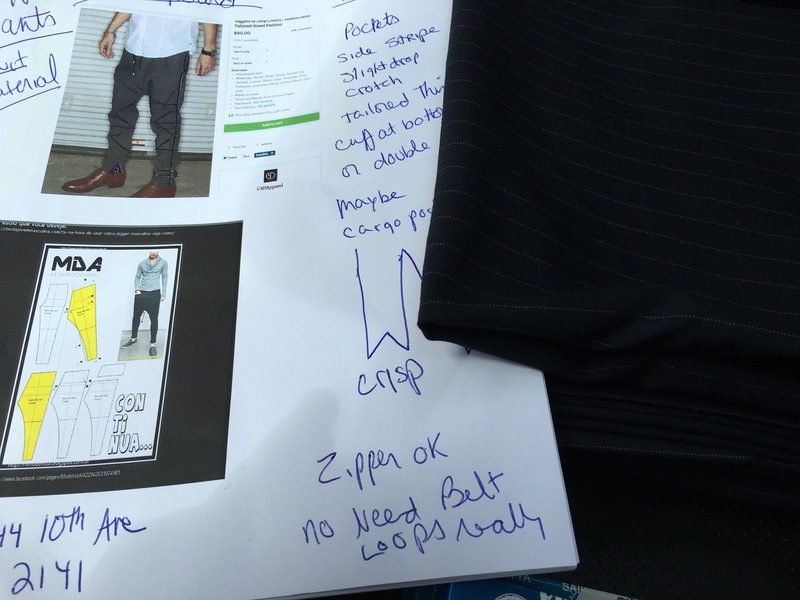 The pants started off as $130 Suit pants on sale at Kohl’s for $50. They now have 2 overlapping layers, Black Stripes on both sides with the right side a bit more tricked out with the grey design. Also, cuffed them and took in the inseam. Quite a project! Here is the right leg. Similar to the left leg, just missing the grey acruements. What I call my mood board for the next project. 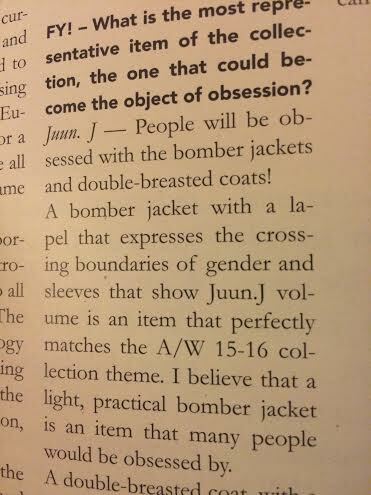 That’s just page one, there are an additional 5 pages of other pictures and influences I plan to use. 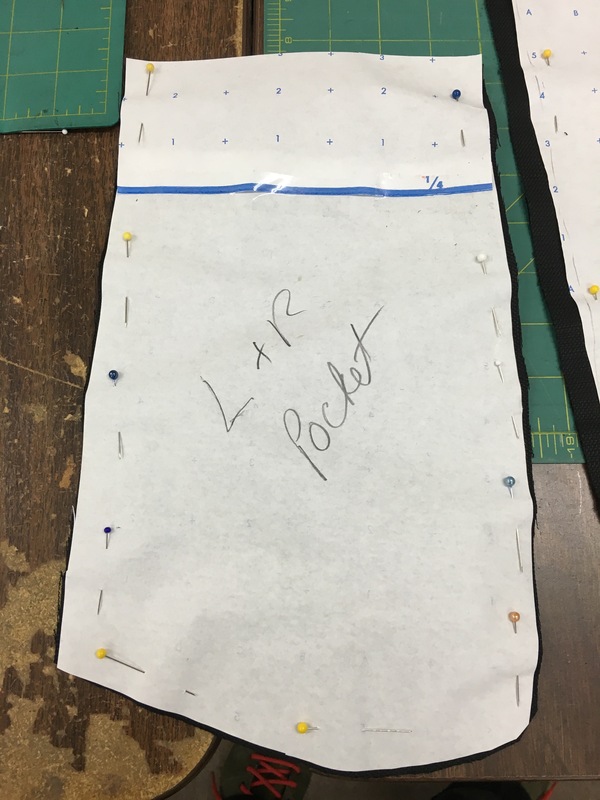 At the moment, I’m putting together the basic portion of the pants. Later on comes the fun embellishing portion. I tend to let my brain cruise. Then burst into action as I make them into something completly new! 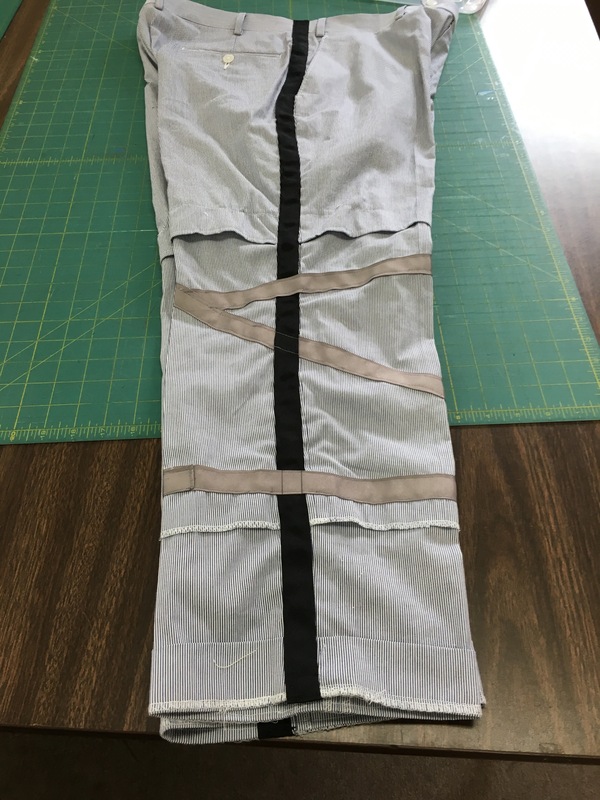 In just one day, I cut out a pattern using an older pair of pants. I made 4 legs, only needed 2 LOL. And I have 4 flat pocket portions. Did them with paper first, pinned em’ then cut out the black linen blend. So far, this project is moving quick! 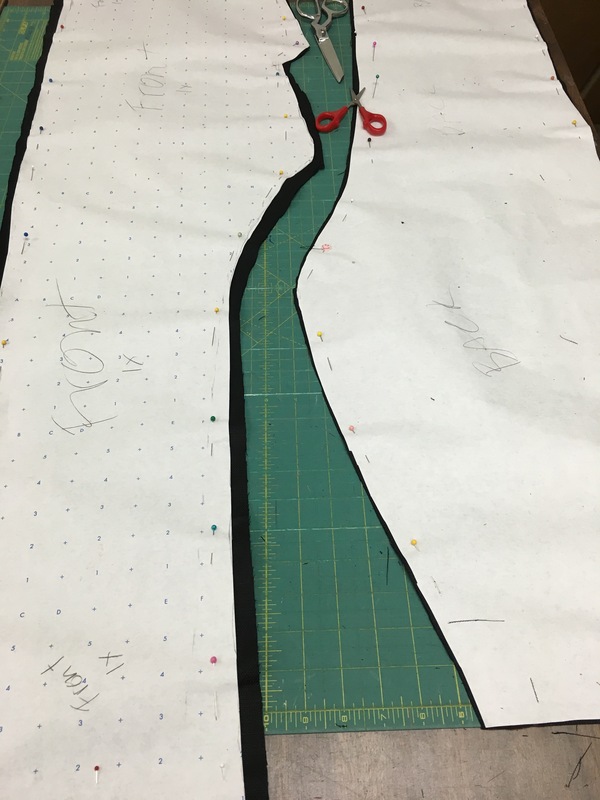 Front and back legs, All cut up and ready to sew. 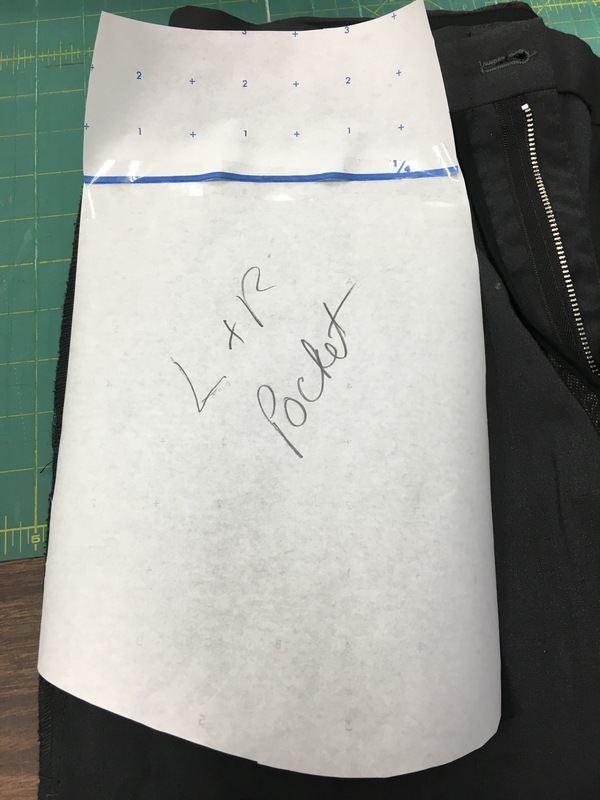 4 layers of black pockets ready to go! 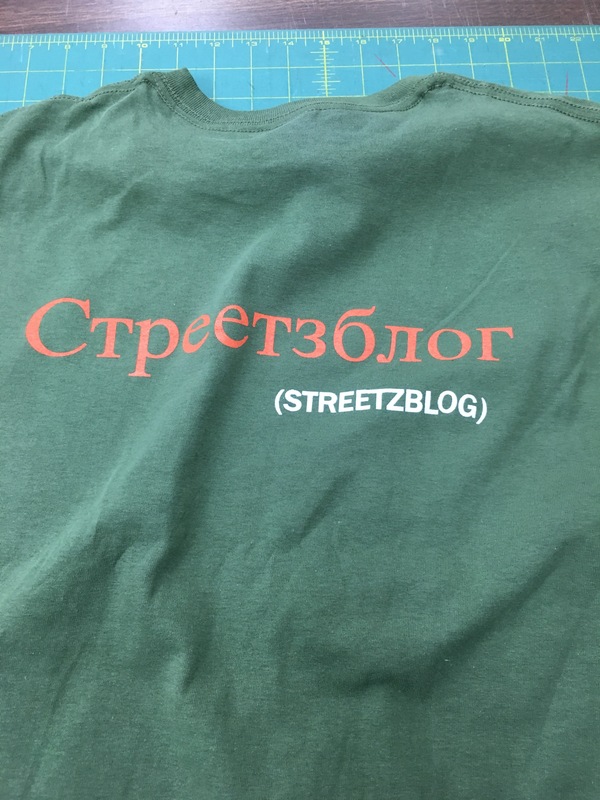 The back of the new Streetzblog shirts. 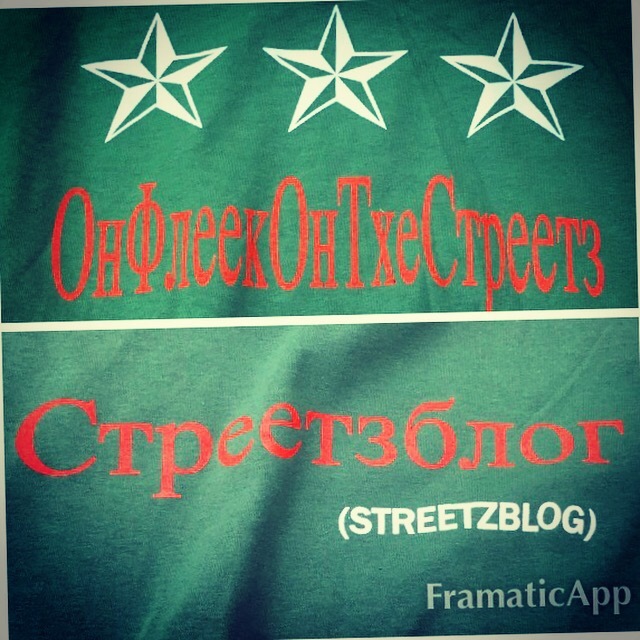 Front and back of the new Streetzblog shirts. 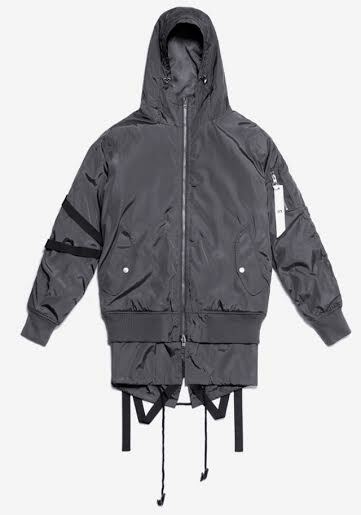 These are also supposed to be in black and Red, but they are yet to arrive. Goal of the new black linen pants to be finished is Wednesday August 24, 2016. I want to wear them to the Cubs game in Chicago on Friday September 2nd. So far, so good. 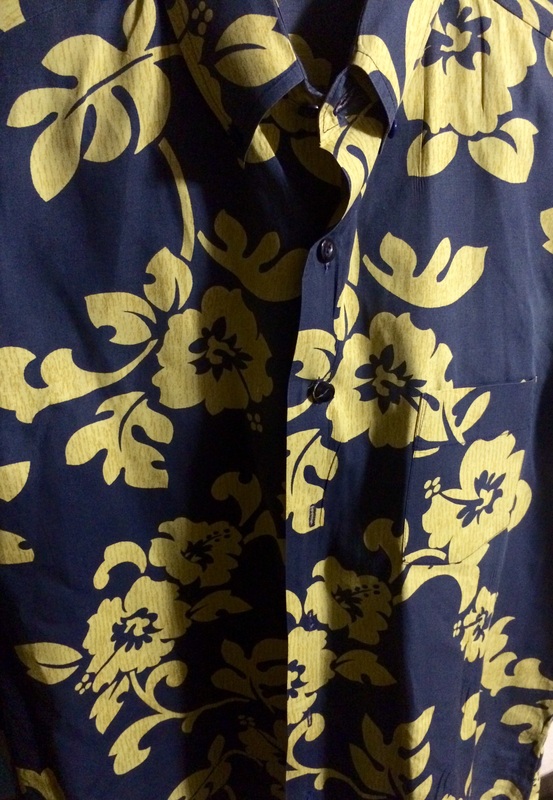 The Aloha Shirt I made from Scratch.Pattern, Fabric, Buttons, Thread, Sewing Machine, Super Sharp Scissors and 12 x 3 hour classes. Years ago, I learned the hard way, it takes lots of work to make a shirt. I personally invested 4 months, 12 sewing classes, a lot of supplies tallying up to $200+ dollars to make my own Aloha Shirt. It was very confusing, a bit frustrating, yet very satisfying to complete, but for sure did not save me any money. With the classes, supplies, fancy scissors, and time, that shirt would have retailed for $580 or more! 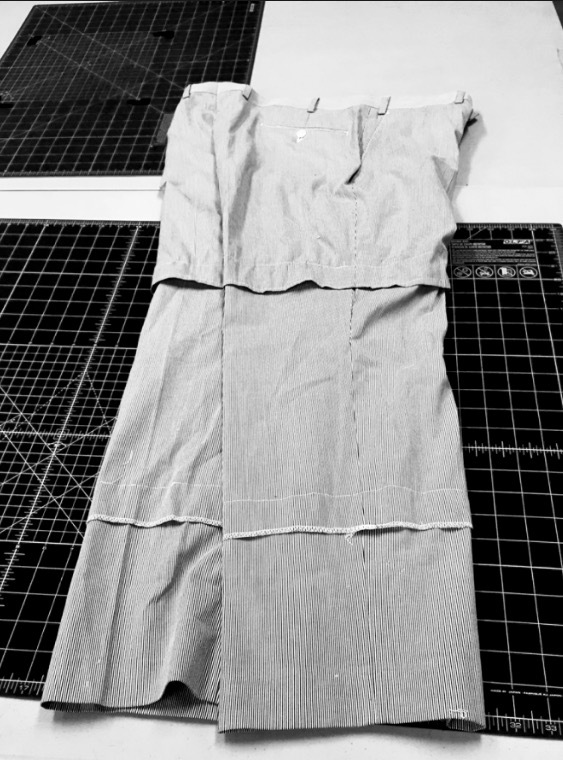 In this video, Swedish label ASKET shows us all how to make an Oxford shirt in 50 steps. You’ll be amazed by all of the intricacies that go into making such a standard shirt. Me, I already know what it’s like to make my own shirt. If I saw this video prior to my project, I doubt I would have tried it. Pretty cool video. Whether you want to DIY or just see how it’s all done. 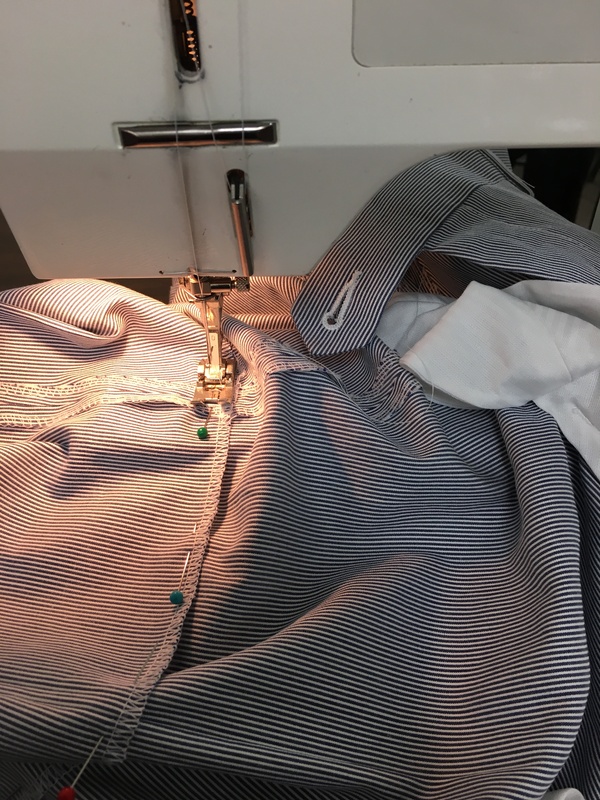 This is a pretty awesome story from start to finish on making an Oxford shirt. Thank You to ASKET for letting us in on the process. Asket uses 2.2 square meters of fabric, 97 meters of thread, 14 buttons, 43 pieces, and close to 50 people to complete the Oxford shirt. And it comes in 15 various sizes to make the project even more complex. Think about all that next time you put on your favorite Long Sleeve button down Shirt. Wow! You can get your very own ASKET Oxford Shirt here for about $79. See you on the Streetz!